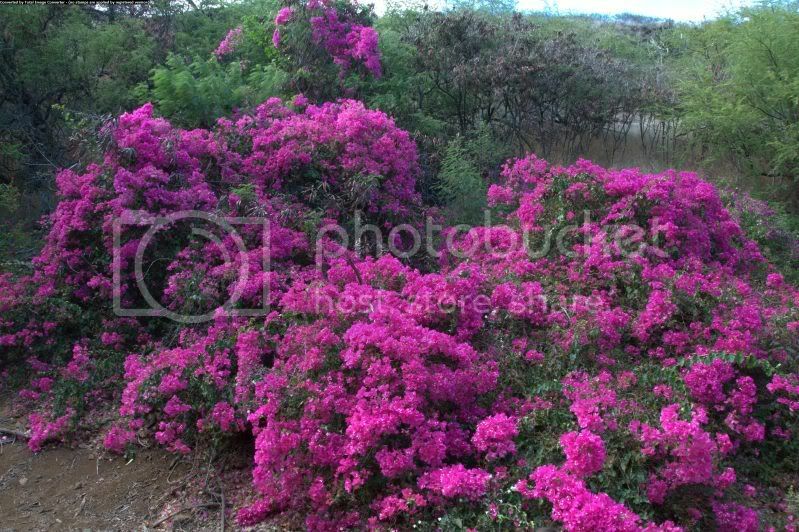 Koko Crater Botanical Garden is one of five botanical gardens on the island providing visitors with a peaceful escape from the hectic pace life sometimes keeps us on. 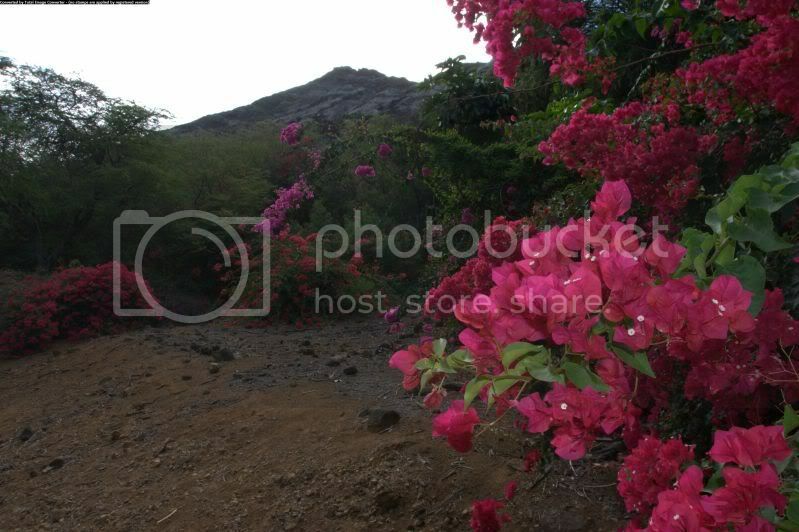 From parents rattled with busy schedules at work, to the kids with their school, everyone in the family can find a relaxing escape here at the Koko Crater Botanical Garden. Best of all it's Free! The family can take a self guided tour along the 2 mile loop trail which takes about 1.5 hours. Come prepared with drinking water, there is a portable restroom available about 1/4 way into the hike. Koko Crater was formed about 10,000 years ago, and was one of the last volcanic activities on Oahu. Koko Crater is technically a tuff cone, formed by gassy eruption of ash and tuff (fine ash.) Ash, not lava , erupted from the volcano because cool seawater entered the volcanic vent. The ash and tuff settled into the ground, solidified into layers of cinder and eventually became the crater that is now this beautiful garden. 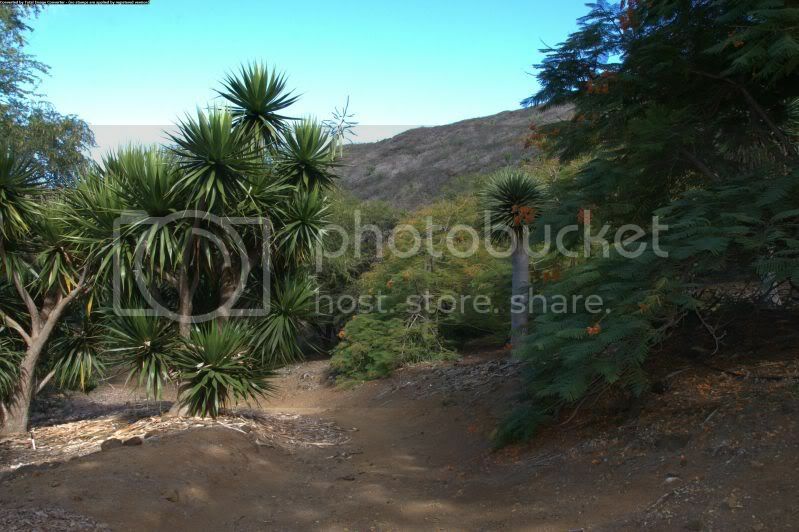 In 1958, Koko Crater was set aside for development into a botanical Garden. Collections like these occupy 60-acres of the inner slopes and basin of this 200-acre crater site. 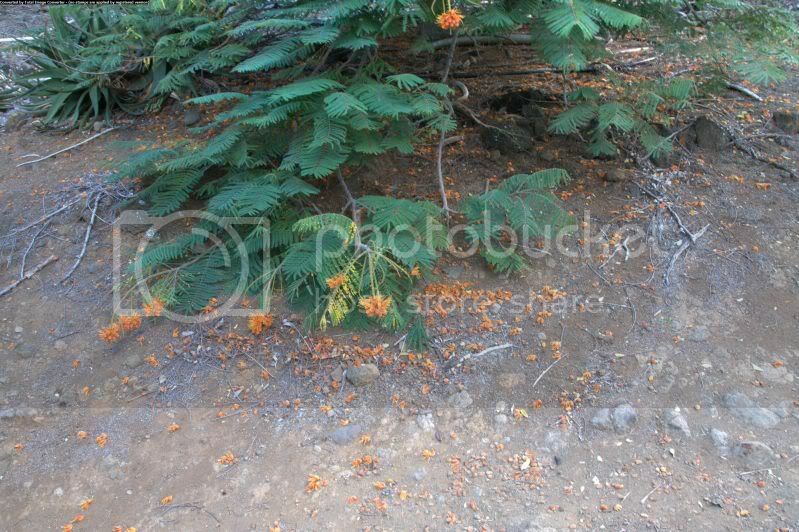 The remnants of the ash create nutrient- rich soil to produce beautiful flowers from all over the world in this garden. 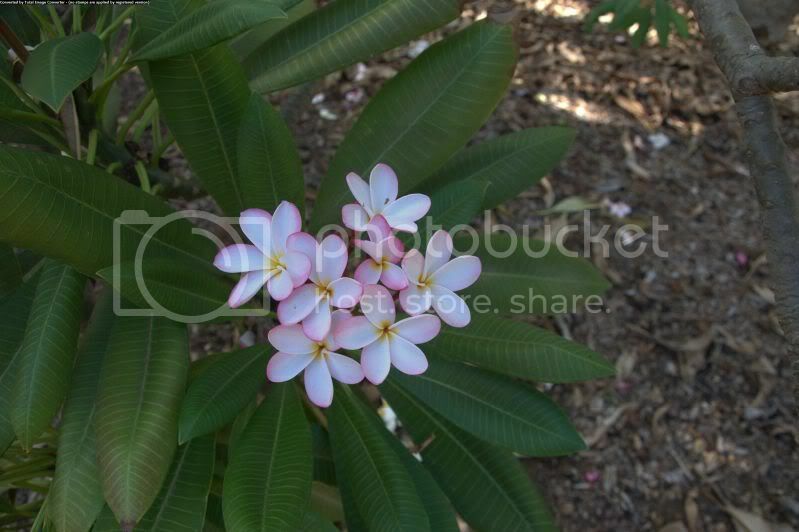 The list of the plants that the family can view on this tour are broken up by region. The family can explore plants from Africa, The Americas, Madagascar, Pacific, and of course Hawaii. 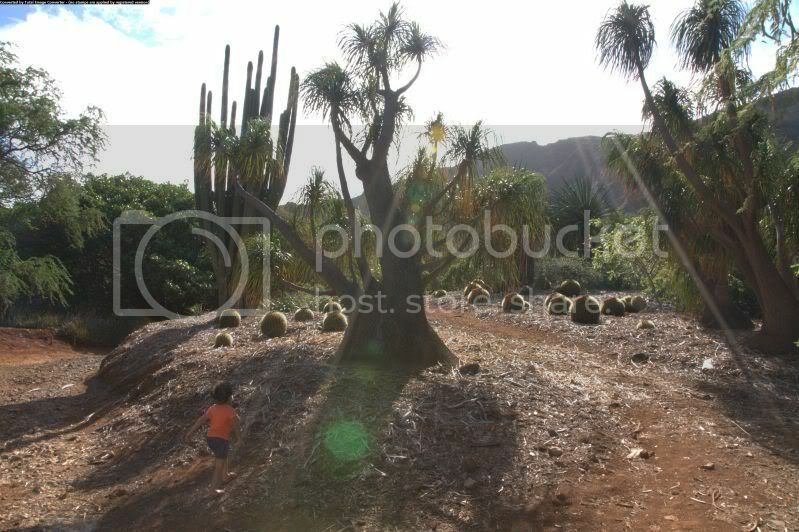 The hot and dry climate in East Oahu makes this garden the ideal location for dry land plants like these giant cactus. 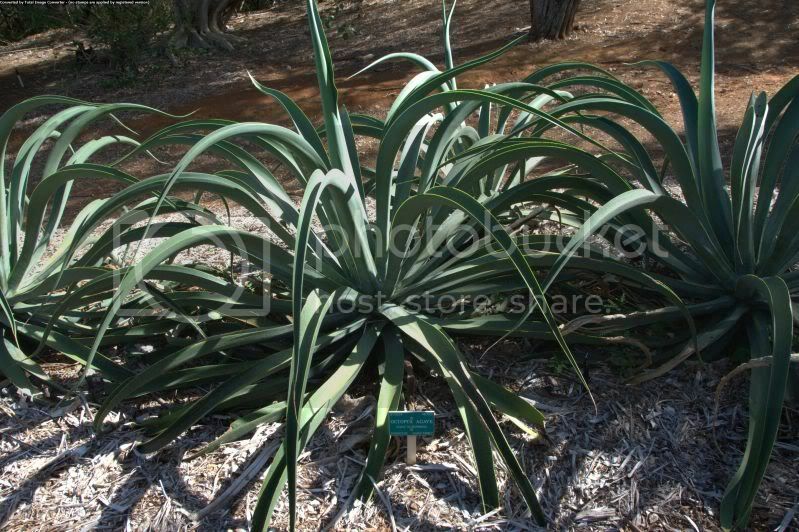 Agave plants like the ones in the photo above are native to Mexico and produce tequila and agave syrup. 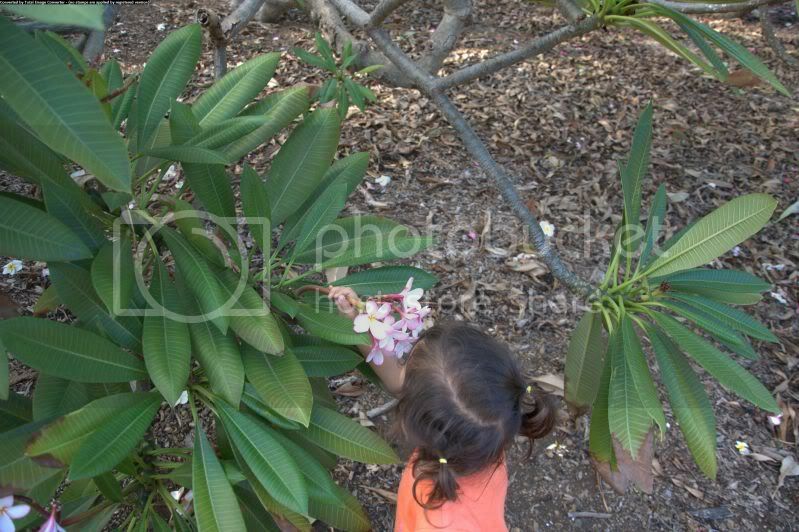 Kids will really enjoy viewing all of the plants and learning about their origins. Koko Botanical Garden is open daily from sunrise to sunset. They are closed on Christmas and New Years Day. 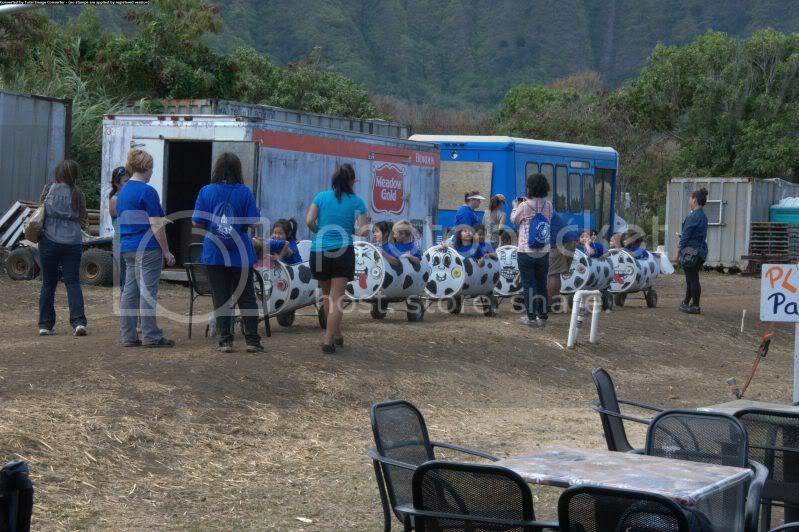 Guided groups can be arranged by appointment (808) 522-7063. Also, it's worth a mention there is a horse stable located directly next to the entrance where guided horse back tours are available. If you are interested in booking a 30 minute tour with the family, their website is here. 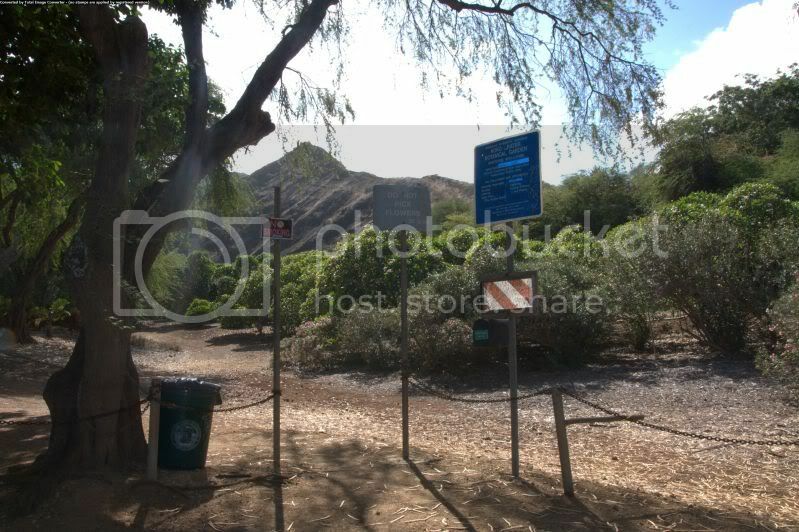 Koko Crater Botanical Garden is located at the end of Kokonani St. Follow Hawaii 72 all the way down past the , Hanama Bay, Halona Blowhole, and Sandies Beach. Take a left at the first stop light past Sandies Beach and follow that street through a residential neighborhood. Eventually you will run into the sign for the KCBG. It has been a while since I have posted an update here on OFA, but I am back with a much better camera and new vision to bring forth ideas for those seeking family activities in Oahu. 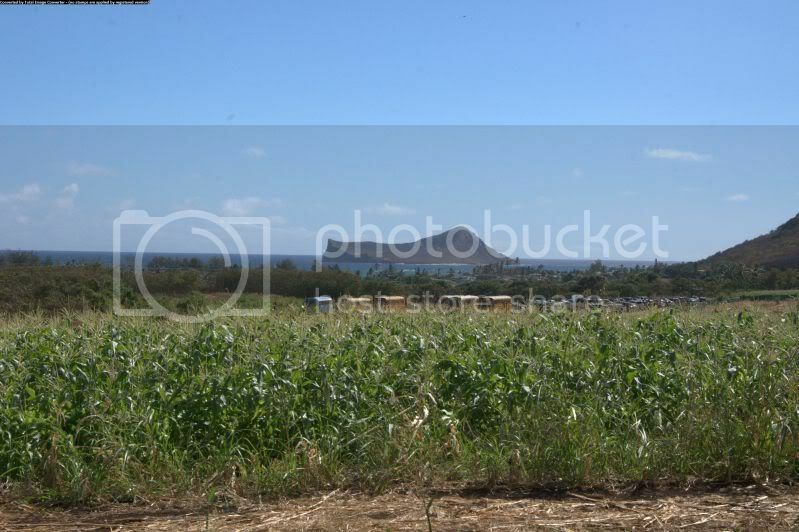 Waimanalo Country Farms is known across the island for their special "Dakota Sweet Corn", Festive Corn Maze, Hay Rides, petting zoo, games for kids, and Pumpkin Patch. As you enter the farm, use caution on the narrow drive way because you don't wanna get into a head on collision with the oncoming traffic. 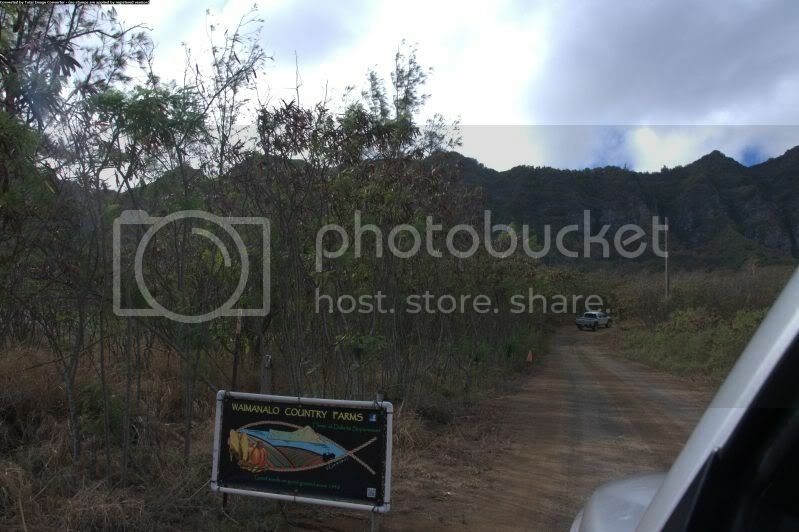 Your car will have to go through small kine off- road action. I did see a Prius and other small cars in the parking lot. There's no entrance fee, $6 gets a ticket good for one hay ride, face painting, petting zoo, and corn maze. They also have some new attractions like a pumpkin shoot (shooting golf balls at a painting of an angry pumpkin), for $3 extra. Children under 2 are free. We started off with the hay ride with one of the owners as our tour guide. It's a ten minute ride that takes you through the farms corn fields and the family's past history on the farm. We listened to the owner tell his interesting story while chugging along taking in stunning views of the Waimanalo Mountain Range and the surrounding torquise blue waters of the Pacific Ocean. The cool breeze and the beautiful scenery of the ocean and mountains made for a really relaxing time. 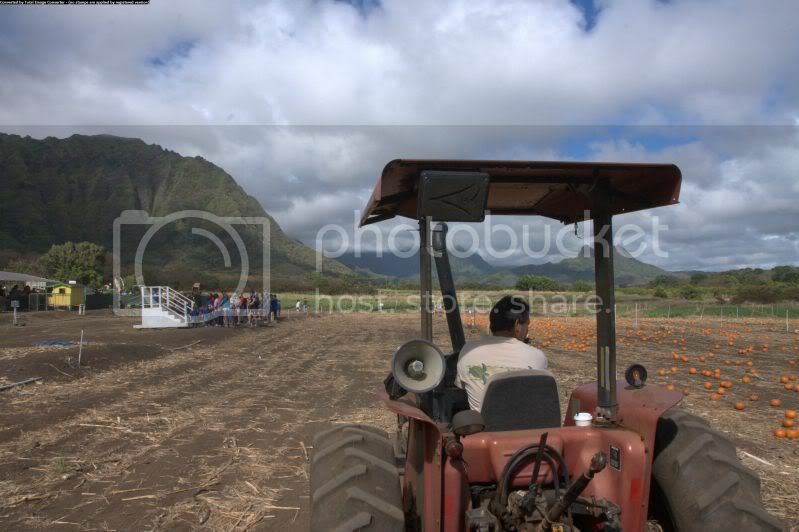 There was also this ohana feeling to Waimanalo Country Farms that was missing at some of the other Pumpkin Patches on the island. Off in the distance of the corn fields, there is a stunning view of Rabbit Island. Don't forget the camera to take some unforgettable shots. 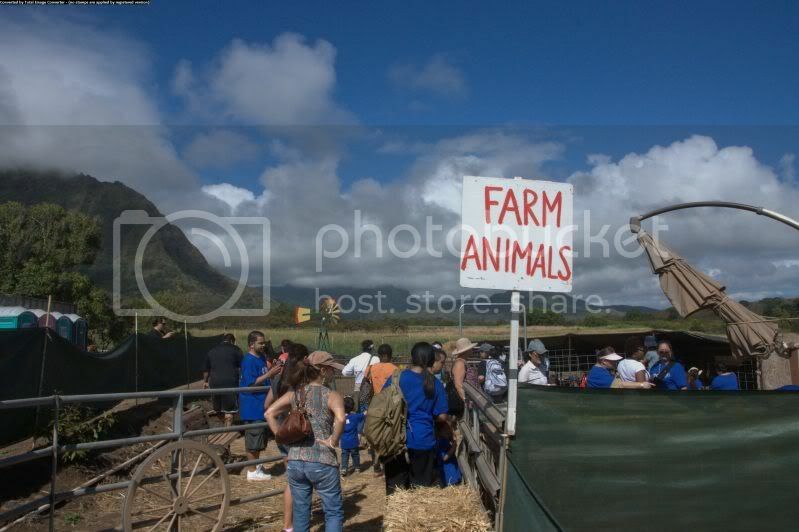 After the Hay Ride we decided to check out their Farm Animal area where kids can feed the animals with bundles of hay. In the animal area, kids can pet very friendly horses and goats through the fence. 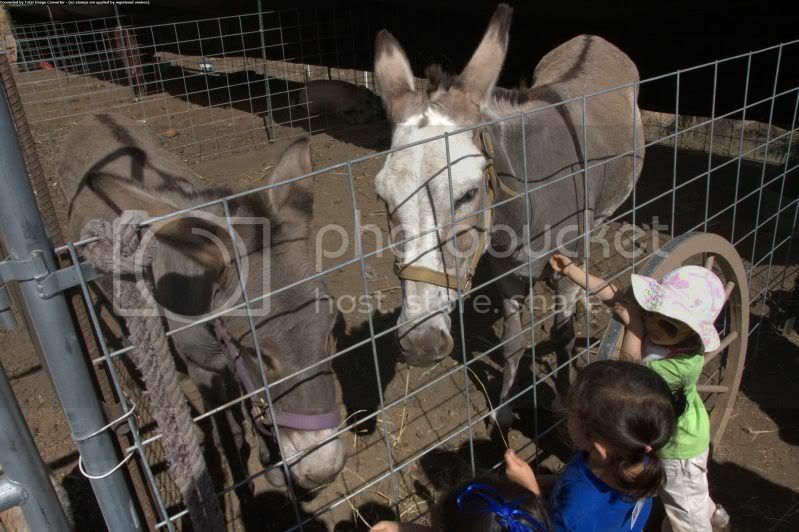 The kids had a blast at the petting zoo! After the petting zoo, we cleaned up and went over see what kind of grinds they had to offer for a snack. I highly recommend the homeade cornbread and a jar of fresh lemonade chock full of farm fresh lemons served in a mason jar. The cornbread was made from the fresh corn they grow onsite! 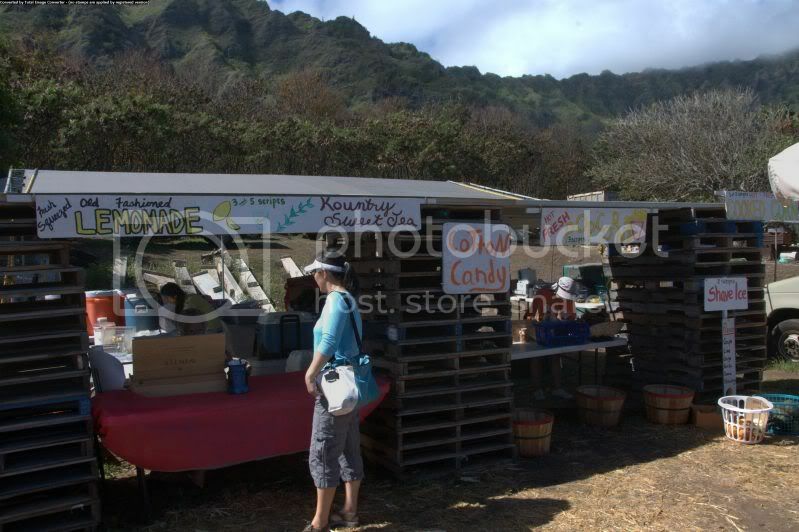 There is also fresh local produce to stock up on to include; corn, Molokai Sweet Potato, jalapenos, and zucchini. 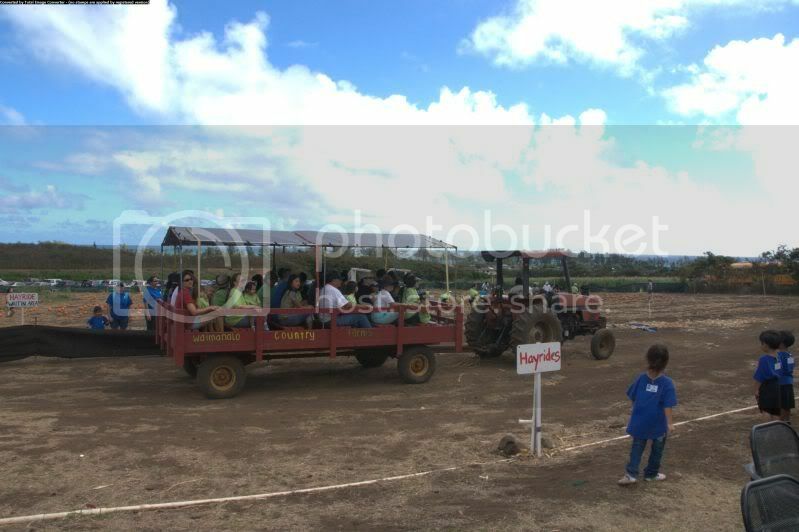 There is also a large play area with a shaded tent so parents can relax and enjoy lunch while the keikis explore the farm. 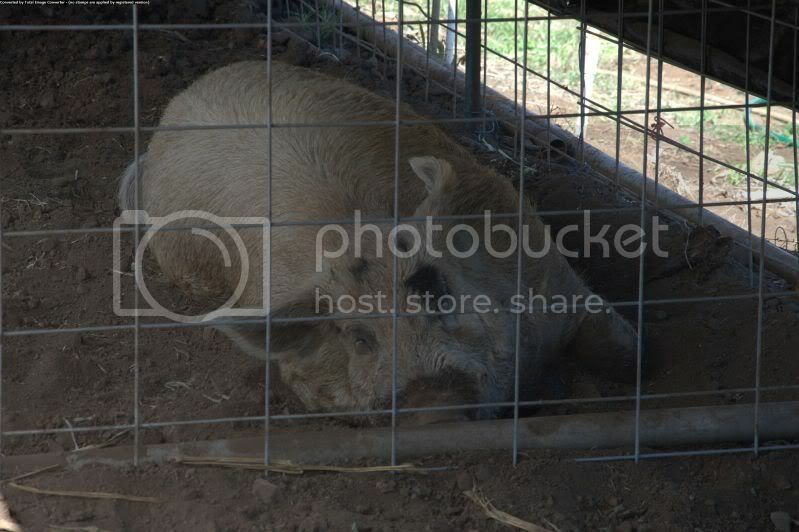 The fun and rustic atmosphere of the farm provides various activities for children of all ages. 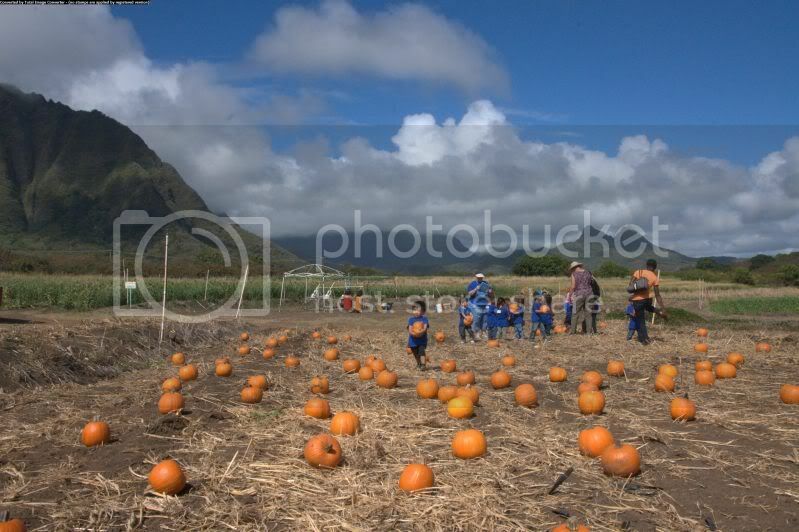 If your looking for a Hawaiian family adventure to the pumpkin patch then look no further than Waimanalo Country Farms. Everyone in the family will fondly look back on this adventure and experience as well. 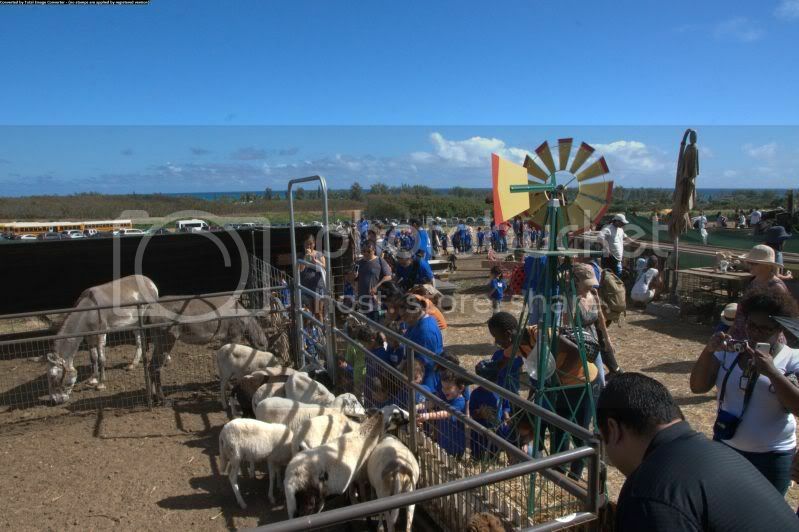 Be sure to make it out to the Waimanalo Country Farms this October and make some memories with the Ohana! Bring extra cash for snacks and shave ice for the kids.